Chess is a game of strategy and skill. 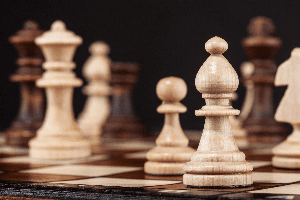 To improve your rating as a chess player and win more matches, you need to have the ability to think quickly and make decisions that will benefit your endgame most. Throughout any chess match, players are constantly capturing and giving up pieces to one another. This process is referred to as exchanging. An exchange of pieces can occur in many ways. A player might capture pieces that are worth more than the pieces they give up to an opponent. A player might also give up pieces who are worth more. 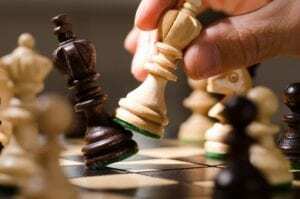 If you’re interested in chess, you can improve the way you play in many ways, allowing you to reap benefits like increased focus, creative thinking, and improved logic. Learning chess also allows you to join clubs and play in tournaments, which many people thoroughly enjoy. 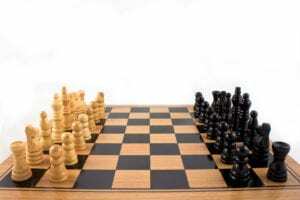 If you want to learn to play chess, you have multiple options, including online instruction. Sign up for online chess lessons so you can get help reaching specific chess goals and expand your methods and techniques. If your child plays chess, their primary goal is to improve their rating, or their relative skill compared to that of other players. The better your child plays, the higher their Elo rating, which is the measuring system used by both common chess-playing websites and internationally recognized chess organizations like the World Chess Federation (abbreviated FIDE, based on the federation’s French name) and the US Chess Federation (USCF).